Over the 3 months to 9 April we recommended buying Santos 18 times. At $0.74 profit per trade that is a staggering total cumulative profit of $13.31 or 13.5% return on capital employed. On 9 April the Pythagoras recommendation was to sell – we thought that was all! But it wasn’t. Just when everyone believed that there was nothing left, on the 20th of April Pythagoras recommended a buy at $5.95 followed by a sell on 1 May for $6.16. That is certainly better than bank interest for the year, in less than a fortnight! Santos is subject to an unsolicited, non-binding, indicative and conditional proposal from Harbour Energy for it to acquire 100 percent of Santos shares by way of a scheme of arrangement. 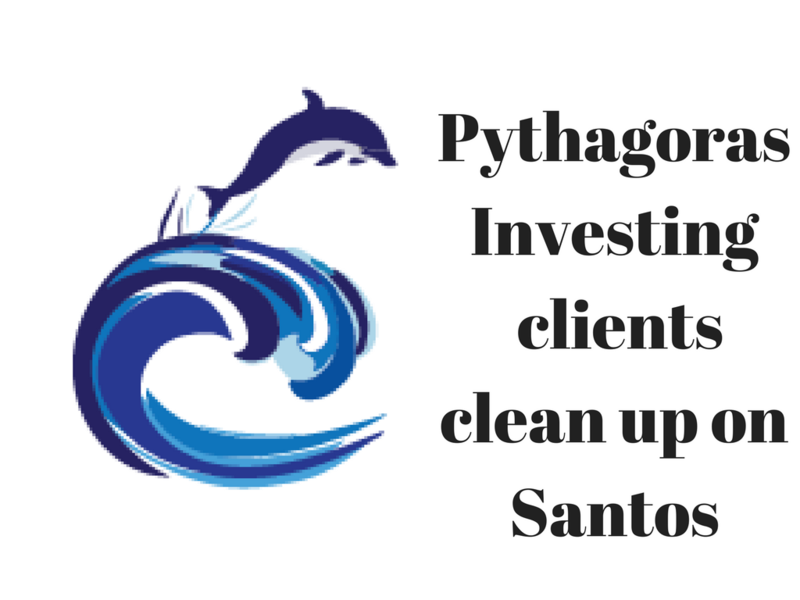 The indicative offer price is A$6.50 per share and represents a premium of 28 percent to the last closing price of Santos of A$5.07 per share on 29 March 2018. The indicative offer price is comprised of the following components: A cash offer price of A$6.13 per share; plus a special dividend of A$0.37 per share which is expected to be fully franked. For those shareholders able to realise the full value of Santos’ franking credits, the special dividend would represent additional value over and above the indicative offer price of up to A$0.16 per share. What if you traded before the event like the takeover of Santos (STO) ? How about buying before or at the start of a price rise? What about selling when the price is about to peak before the downturn? All with mathematical precision. Pythagoras is looking when everyone else isn’t. And it’s doing more than the human mind can – without prejudice and human emotion. This is a revolutionary method of accumulating wealth. You get to act before price-sensitive events. Be ahead of the market with a better return for a fraction of the time and effort. No more tedious annual reports, stockbrokers research, economic papers or expensive subscriptions. Santos Limited (STO) explores for, develops, produces, transports, and markets hydrocarbons for homes, businesses, and major industries in Australia and Asia. The company produces natural gas, such as liquefied petroleum gas, ethane, methane, coal seam gas, liquefied natural gas, shale gas, and condensate, as well as oil. ← Why trade in crypto-currency ?